Request a quote for Rectangular-Rounded Sides-Internal Thread-Two Mounting Holes today. JBF National’s rectangular pull handle is manufactured from the highest quality extruded aluminum and features internal thread mounting. 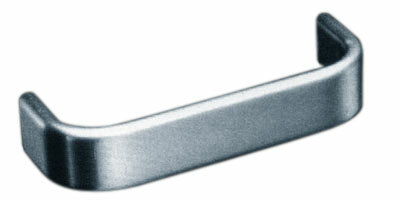 The flat rectangular shape of this pull handle with its rounded sides ensures positive hand grip every time. This model features two mounting holes to allow for maximum mounting durability. Contact a JBF National sales engineer today for more information.